According to Taconic Investment Partners two leases have been signed at The BankNote Building in the Hunts Point section totaling 220,000 s/f. N.Y.C. 's Human Resources Administration (HRA) has signed a 20-year lease for 200,000 s/f. In addition, Urban Health Plan, a not-for-profit healthcare provider, signed a 10-year lease for 20,000 s/f for its executive offices. The deals bring the class A landmark building to 95% leased, with 30,000 s/f remaining. "Starting in 2007, our goal for The BankNote was to provide companies and organizations like HRA and Urban Health Plan with large, open blocks of quality space to reimagine into offices, healthcare centers, training facilities, schools and creative spaces," said Peter Febo, senior vice president of Taconic. "These two transactions have established the BankNote as the preeminent office destination in the Bronx, and were made possible by tireless lobbying from Bronx borough president Ruben Diaz Jr. and Marlene Cintron, president of the BEODC, who we thank endlessly for their efforts. Personally, we are thrilled to see our vision for this building come to fruition." Robert Giglio, executive VP of Cushman & Wakefield, and Jody Pulice, founder and president, and Ellen Israel, senior director of JRT Realty Group, represented HRA; while Paul Wolf, principal of Denham Wolf Real Estate Services represented the owner, an affiliate of Taconic. Jason Martin, managing director of MCCG Real Estate represented Urban Health Plan; Wolf represented the owner. HRA will occupy three floors at the BankNote, once the location of American Bank Note Co. In addition to the initial $20 million capital improvement plan, Taconic will invest an additional $20 million to build out spaces for HRA and Urban Health Plan, made possible by an upsizing of the existing loan from iStar Financial, the first mortgage lender for the project. Additional financing for the HRA tenant build out was provided by an innovative credit-based $17.9 million tenant improvement (TI) loan to an affiliate of Taconic Investment Partners. The loan was provided by Lance Capital LLC, a specialty firm in tenant improvement funding. The TI loan is unsecured but backed by a portion of the city's rent cash flow. Bonds tied to that facility were privately placed with institutional investorsâ€”those bonds are unrated, but implicitly carry the double-A rating of New York City. 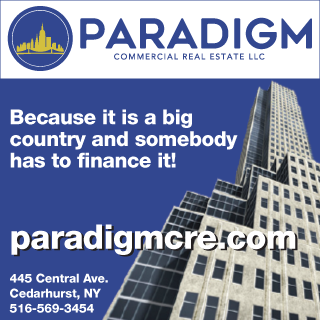 "A low rate for TI funding was made possible by focusing on the creditworthiness of New York City, rather than the building's cost of capital or the security collateral value of tenant improvements," said Richard Podos, CEO of Lance Capital. "I applaud Taconic Investment Partners for converting the historic landmark into a class A office building. The BankNote building is helping transform the South Bronx into a business hub, housing non-profits, community organizations, creative companies, and schools. I am glad that now organizations like the HRA and Urban Health Plan are calling this building their new home and providing residents in Hunts Point better access to their services," said Bronx Borough President Ruben Diaz Jr. Built in 1909, The BankNote is an office and retail complex that was formerly the home of The American Bank Note Company. The architecturally distinct, 400,000-square-foot landmark building has quickly become a hub for creative companies, non-profits, community organizations and schools by providing a unique combination of professional and affordable space in the burgeoning South Bronx community. The class-A building, the only one of its kind in the neighborhood, features flexible, customizable spaces that can be tailored to fit the needs of a variety of tenant types and uses. Under the direction of architectural firm Beyer Blinder Belle, which specializes in restoring historically landmarked buildings, Taconic implemented a $20 million capital improvement plan that carefully restored the historic character of the property marked by prominent arched windows, saw-tooth skylights, concrete floors, exposed brick walls and light-flooded interiors. 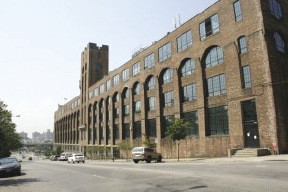 Renovations included the installation of more than 300 new low-e, double-hung windows; the re-pointing of the building's faÃ§ade; the installation of a new boiler; a reconfiguration of the parking lot, adding landscaping and new pedestrian walkways; building new lobbies; installing a cooling tower; upgrading corridors; building new bathrooms; and modernizing elevators in the Lafayette and Barretto buildings.